Today’s heartwarming news story: A starving baby otter was rescued by Salt River Project utility workers and nursed back to health. Yup, heroes do exist. Three workers spotted the 4-week-old critter in a dried-up canal outside of Phoenix, Arizona. The poor guy was dehydrated, flea-ridden, and hungry. "He was calling for his momma, we assumed," Craig Boggs, one of the utility workers who rescued the otter, told the local Arizona news channel KPNX-TV. "It would go back under water and fight and come back up. He was about to give up. He was pretty exhausted." Is your heart not breaking for this poor baby? "Just one of nature's thing," Craig told the Arizona news station. "You can't let it go. I mean, if you can save it. It's the right thing to do. I mean, didn't want to let the little fella die on its own. It's not right." First of all, Salt River Project then brought the baby to Arizona Game and Fish Wildlife Center, where they fed it with a mixture of trout and kitten milk. After six days, the otter recovered. Then, Salt River Project brought him to Out of Africa Wildlife Park in Camp Verde, Arizona, on April 26. Furthermore, you can fawn over the adorable baby animal in the video below. 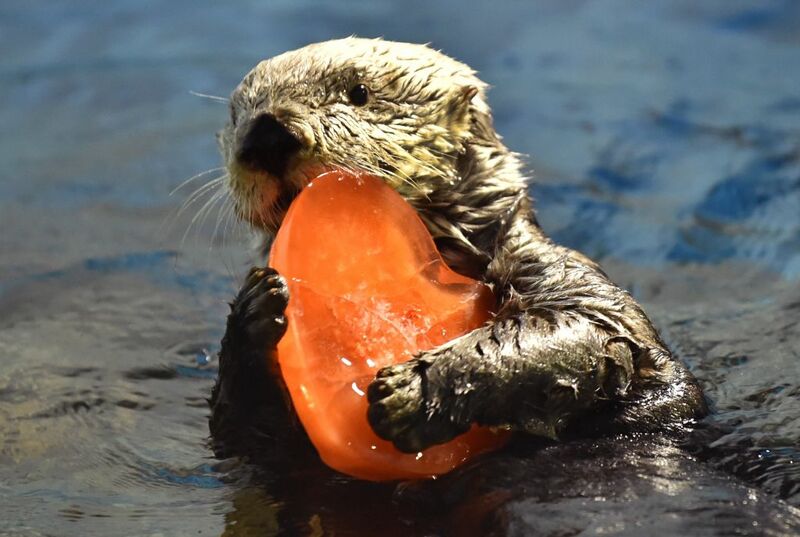 We otter say thank you to those kind workers for rescuing this sweet furbaby! She now weighs 2 pounds, 9 ounces, and looks as healthy as can be.